When Who Killed the Electric Car premiered at the Sundance Film Festival (on the same weekend as An Inconvenient Truth), we wondered whether movie goers were ready for a new kind of 'action film'. Fortunately people jumped onboard and this seems even more true today. We put this DVD together after the release of the film to include a dozen short scenes we couldn't quite fit into our story. My favorite is one with Stan and Iris Ovshinsky who developed the revolutionary battery technology that powered GM's electric car (and today's Prius). These two brilliant octogenarians took our small camera crew on a Willy Wonka style tour of their inventions including the world's largest thin film solar cell factory. As we stood under a football field size machine in Troy Michigan, I blustered "Is solar power back?" Stan exclaimed " What?! Solar never went away... What was back was backward thinking!" And as his machine cranked out miles of solar cells above us, we knew he was right. This is a great documentary that shows what progress and innovation can bring when big companies work for a better tomorrow, and how they will stop at nothing to destroy that progress when it threatens their money and power. Living outside of California, I had no idea that these cars were used on such a large scale. What a great impact these cars could have had on reducing our need for foreign oil and reduced smog pollution, if only the auto makers and big oil hadn't successfully killed it all. Keep betting on people buying gas-guzzling SUVs, see how well that works as gas passes $4 a gallon. Everyone should see this video and the scam the oil companies, and auto manufacturer's have made of the electric car. They had a viable electric car in the 90's. Hundreds were on the roads in California on lease to lucky drivers. 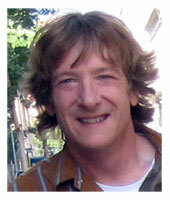 The auto companies withdrew the cars and destroyed them all, when it became clear they were getting to successful. A great film, though a bit heavy on the political side. Still, after watching this movie, there can be no doubt that electric cars are marketable and desireable. This film documents the life of the EV1, a GM two seater electric car. The cars were leased to a select few customers in California and Arizona, then destroyed after a few years. I live in Arizona close to several retirement communities, and I see people driving around in electric golf carts all the time, even in 100 degree plus heat. Electric vehicles work. 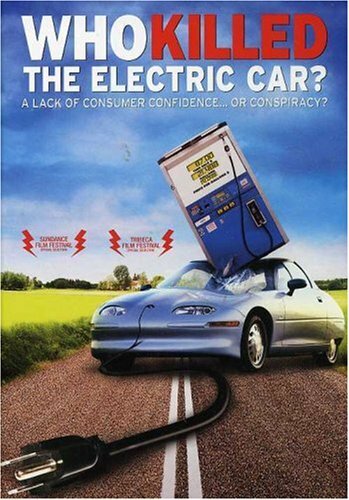 I am not a conspiracy freak, but this film nails the automobile industry, the government, and the oil companies for keeping electric cars out of the hands of the public. Once you watch this movie, their motivations will be very obvious. Bail out for GM? I don't think so! A Must SEE! Excellent footage, very well done. of this issue, make one of most entertaining and revealing cases for its cause I have ever seen. It presents both sides of the issue, but makes it very easy to see that one side is seriously flawed. It answers the question "why are people frustrated with government and big business" with a clear evidence. The scene of the solar panels on top of the White House(before they were removed) pretty much sums it up. Is it any wonder why GM's stock is hitting a 50 year low today? A must read for our times.